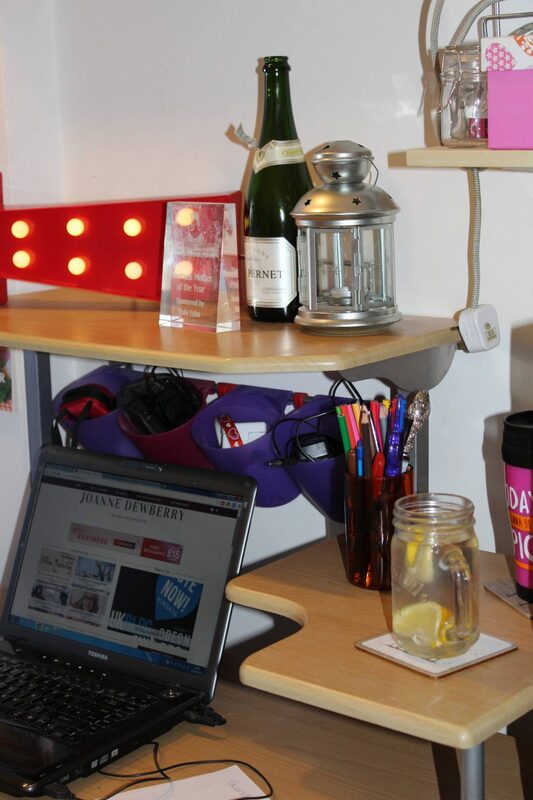 Creating a home office can be quite the challenge and if you follow this blog you know how much I’ve struggled. Not only do you need to create a space within your home which is functional so that you can successfully get on with your work, it also needs to be comfortable and equipped with everything you need so that you don’t have to leave the office and get distracted. Here are a few top tips to creating the perfect office environment in your home. If you’re going to be doing a lot of reading and concentrating, the lighting needs to be right. Staring at a computer screen all day in poor lighting can be really bad for your eyes so getting the lighting right is vital. You also need to ensure that the lighting is sufficient for if you need to crack on with any work in the evening or early hours of the morning. A mixture of natural light in the daytime and artificial lighting usually works best for creating the right kind of ambiance. Getting the right type of bulb can contribute to creating the right atmosphere, check out the selection available at Bulbs2Go to see what size and shape bulbs will work best for you. Your office needs to be comfortable if you’re going to be spending your days in their working without getting distracted. Investing in a bespoke office chair made specifically for you to your exact requirements can be hugely beneficial as it will prevent future back problems and encourage you to spend more time sat at your desk. Along with this is making sure that you’ve got the right shape and height of desk that’s perfect for your body so you don’t strain yourself in any way. Follow the HSE’s guide to setting up display screen equipment to be sure you’re doing it right. Working from home can sometimes make you feel a bit trapped. Not only is it difficult being at home all day long, if your office is small and cramped (like my Harry Potteresque under the stairs office!) you’re hardly going to get a lot of work done. A good solution to this problem is making sure that your office space is well ventilated. Installing windows which open and close on their own can be a great advantage as they ensure a flow of fresh air in and out throughout the day, take a look at Rocburn Limited who have a selection of different ventilation solutions. Creating the perfect home office environment is all about striking the balance between comfort and functionality. Essentially, the goal is to create a space in which you want to spend time but that has all the essentials so you don’t have to leave. Next Post Emerging opportunities: Are UK firms missing out on growing international markets? I know that feeling! I’ve added a cushion to my old dinning room chair. But it’s not the same! Hey Joanne, hope you’re well? I know lots of people buy their from Ikea. Mine is something I found on gumtree, nothing fancy but does what I need it too. Hi Joanne, just my own view here, as I work from home for 50% of the week but it’s not just essential to have comfortable home office furniture – the other serious consideration you need to take into account is trying to keep active. If you Google “sitting disease” you will see how badly sitting down all day can be for office workers. My advice is to try and break every hour – and if you do work from home try to just take a 20 minute walk at lunch time – it helps loads.